Two of the commission works which I have to get busy on are of Blue Wrens. 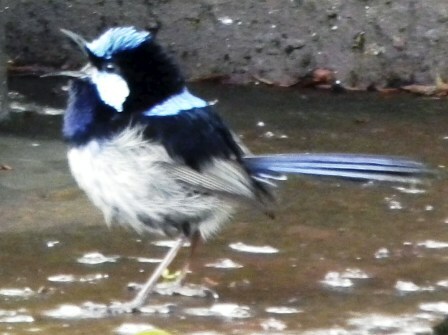 Fortunately these delightful birds have been regular visitors to our garden in the past months so I have photos. At Penguin Market this Sunday I will be working on one of the paintings. I expect I will use a combintion of tube watercolour, and Inktense and traditional watercolour pencils. Retaining some of the pencil marks is a great way to suggest feather texture. Penguin Market, Arnold St Penguin is on from 9 to 3,30 Sundays. This will be the last one for this year. Next is 8 January but due t cataract surgery I may miss that one. Sorry. 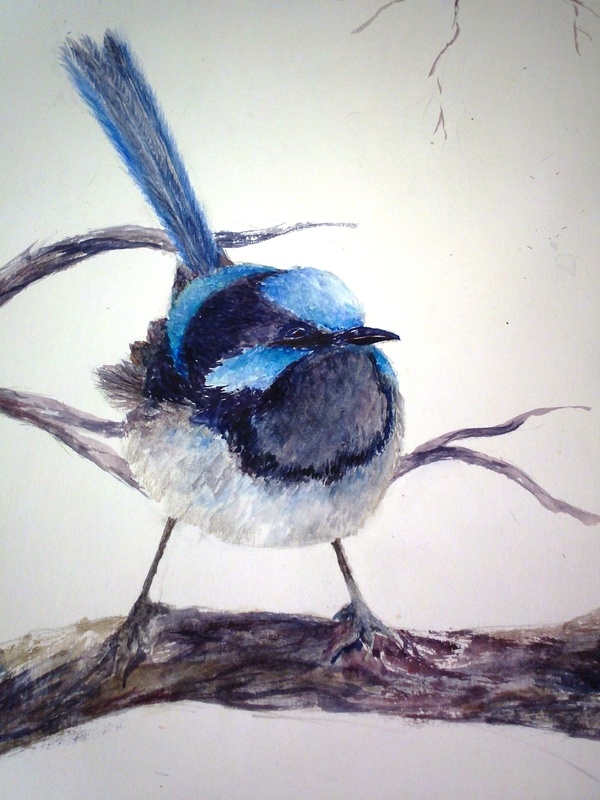 This entry was posted in Uncategorized and tagged birds in watercolour, blue wren, blue wren photo, garden, garden birds, painting demo, Penguin Market, Superb blue wren, Tasmanian art, Tasmanian birds, wrens.